The only manufacturer offering a full range of side-mount cooled, high-capacity prep units with the industry’s best design features. 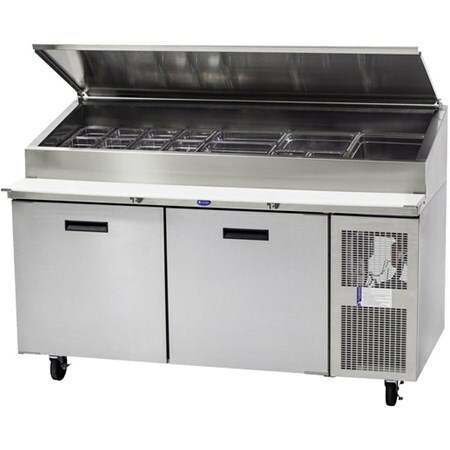 By nature, high-volume foodservice operations require high-capacity prep tables to keep sandwiches, salads, bread and other staple items moving through a busy commercial kitchen while also maintaining the highest standards for freshness and safety. Randell offers an exclusive combination of side-mount refrigeration systems with a mullion coil design that allows for a full-depth interior. 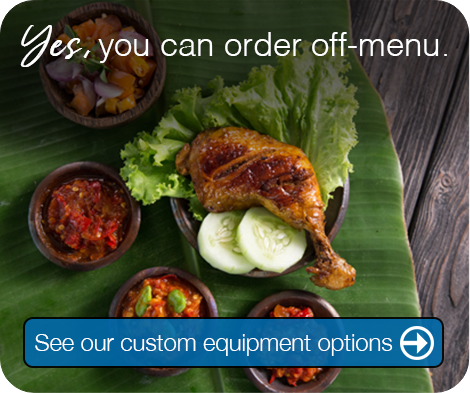 Randell provides the most standard sizes from 48” up to 95” to suit operator needs. 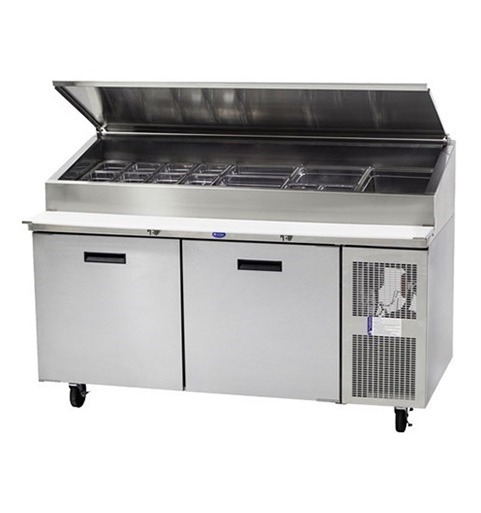 Available only in Randell high-capacity prep tables, the extra-large interior is 26” deep to accommodate sheet pans (in most models) and high-capacity drawers that can hold as many as two 12”x20” pans per drawer in the 27” sections. By designing the pans to set recessed into the cold area — and combined with our exclusive air duct that directs the air over the pans on our 9000K series — our high-capacity prep tables have cold air blanketing the top surface of the products while combating hot ambient conditions. This assures the product surface is in NSF standard 7 compliance. Our 9000W series models have 100% sealed cold-wall tanks and recessed pan holding for superior temperature performance to address three specific environments where a forced air cooled mega-top does not fit the application: breading stations, where spillage gets into the evaporator coil and air ducts on forced air units, causing premature failure; high-heat environments where forced air units don’t have enough cooling capacity to keep product at safe temps; and front of the house, where the use of covers is not ideal.